The halftime direction of Sue Bird (Seattle Storm) and the veteran leadership of the USA Basketball’s Women’s World Cup Team (4-0) continued to deliver on Friday in the team’s 71-40 quarterfinal victory over Nigeria (3-2) in the FIBA World Cup at San Cristobal de la Laguna, Spain. 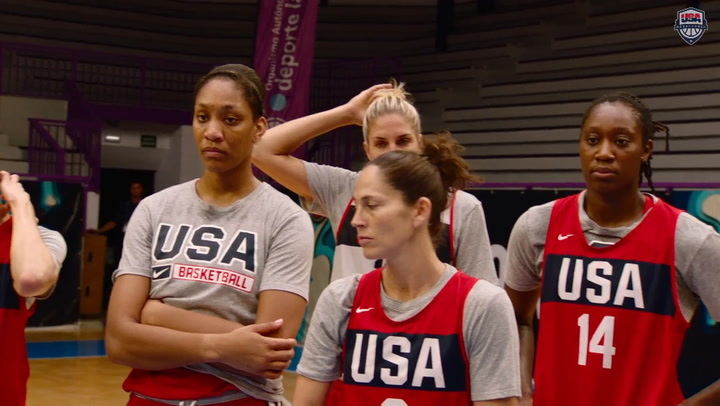 In Saturday’s semifinal round, the USA will face the winner of tonight’s France versus Belgium quarterfinal. The USA, in search of its first-ever three-peat in World Cup play, extended its tournament winning streak to 20 games after overcoming a slow start at Santiago Martin Arena. 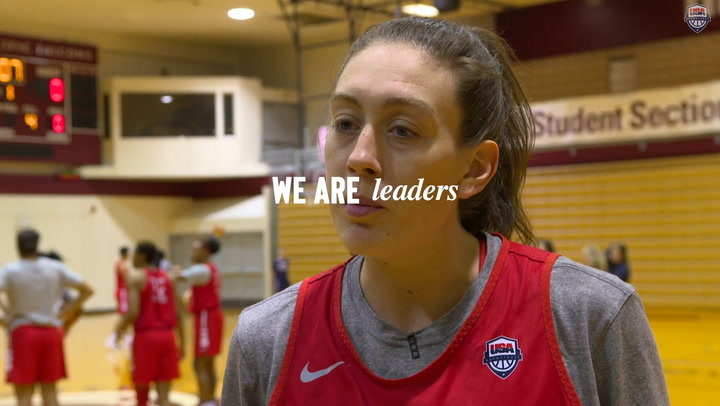 Breanna Stewart (Seattle Storm) scored 19 points on 7-of-8 shooting with five assists to help the USA to its largest margin of victory in this World Cup. The 71 points scored left the USA one short of scoring 10,000 all-time points in World Cup competition. At halftime, with the USA ahead by just four points after Nigeria’s aggressiveness had become a constant source of irritation, Bird was the one to speak up. Bird’s Hall-of-Fame credentials already include three World Cup gold medals, and she may soon become the only player – male or female – to earn five medals in this tournament. Her five assists on Friday put her within eight of USA head coach Dawn Staley’s USA World Cup career assist record of 103. But, Bird’s contribution on Friday had as much to do with what she said as what she did. Nigeria, the first African nation to reach a quarterfinal in the World Cup’s 65-year history, held the USA to 25 points fewer than its group phase average of 96.3. 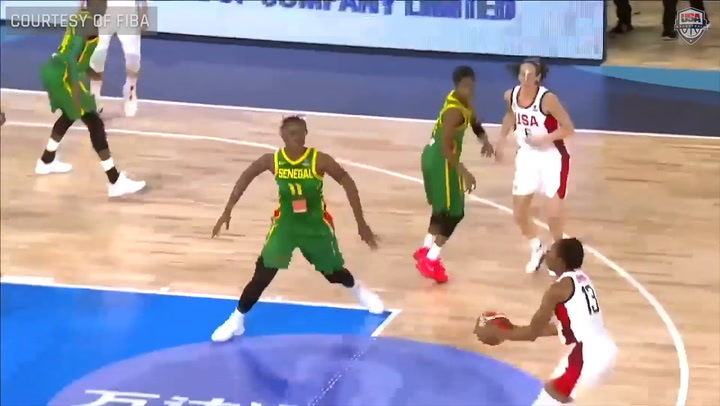 The USA scored nine points in the first quarter, half of its previous low against Senegal. The 20-11 Nigeria lead with 9:19 left in the second quarter was the biggest deficit the USA has faced in this tournament. The USA was behind for 16:38 in the half after trailing for a total of 8:24 in its previous three games. It was not until Stewart’s 3-pointer put her team ahead, 24-23, with 2:04 left in the first half that the USA had its first lead of the game. The USA opened the third quarter with a 14-4 run and began to take control of the game. The second-half adjustments helped the USA outscore Nigeria 44-17, the biggest second-half margin of the tournament for the USA. The team shot 51.4 percent in the final two quarters after shooting 30.3 percent in the first half. Tina Charles (New York Liberty) grabbed a World Cup personal best of 15 rebounds to help the USA outrebound Nigeria, 62-32. A’ja Wilson (Las Vegas Aces) added 11 points and six rebounds. Historically, the USA is no stranger to overcoming adversity in this tournament. It faced a 37-28 halftime deficit against Russia in the 1998 World Cup that ended with a gold medal. It also held a 72-71 lead with 3:28 remaining against Russia during the 2002 World Cup. The USA finished 9-0 in both of those World Cup appearances. Nigeria, which finished 16th in its only previous World Cup appearance, will have the chance to finish as high as fifth place.